Here is a great guide on the difference between the WordPress Visual, and HTML Editors. If you know the difference between the WordPress Visual and HTML editors, and when and how to use them, you can keep your site/blog looking more organized and professional. I believe i have lost count how many times I have seen the same issue come up from a client “My WordPress Blog is screwed up?! Please Help!“. And every time it is the formatting added into the post from an outside word processing program like MS Word or an HTML editor like DreamWeaver, or even from copying and pasting info from another blog. I am not able to explain how it happens but it can really screw up your posts as well as your sidebar/widgets. posting from another program and pasting it into the WordPress Visual editor might bring in some formatting elements that WordPress does not understand or know what to do with. And most of these issues may not show up until after you create a new post that appears above the problem post. So now that it is recommended that you do not create a post in your favorite program and paste it into your WordPress post whats a blogger to do? First of, if you are doing it just for a spellchecker then might I suggest Firefox as a browser, as it has a built in spellchecker already. But if you still are thinking of doing these types of things then try using the built-in tools available in the two different WordPress post editors. If you have the visual editor turned off in your profile settings, then you will have two tabs available when creating a new post. The Visual and HTML editors are similar to the different tabs available in an HTML editing application like DreamWeaver. The Visual being the WYSIWYG and the HTML for the programmer who knows code better than most of us know the back of our hands. The HTML editor can be useful to the non programmer, say you create your posts in MS Word or similar just for the spell-check, punctuation and other goodies. You can paste the post into the HTML editor and it will not bring in all that extra formatting. The HTML editor will treat any regular text pasted or typed into it as plain old regular text. You then can click the Visual editor tab and use the Visual toolbar to add any formatting to the post. So im sure you are thinking that if you create something in an HTML editor like DreamWeaver and then copy the raw HTML code and paste it into the WordPress HTML editor all will be good. Well most the time, but probably not all. There may be some HTML code that WordPress or PHP will not understand or process so you are better off pasting just the plain text into or typing in the faster WordPress HTML editor and then tabbing over to the Visual editor and formatting the post how you want. The WordPress Visual editor is very useful for adding images/videos into posts, creating links and even changing the text size or color and other things. And if you have an advanced WYSIWYG editor plugin like TinyMCE Advanced, which adds even more tools to the Visual toolbar, you really don’t need to use any other third party application to create your posts. Adding and keeping plugins up to date like TinyMCE Advanced can be a pain but if you really need all the options and features then it may be worth the trouble. So to sum it all up, try to use the HTML editor for just plain text (unless of course you know the real html code) then tab to the Visual editor to add the formatting, links and images into the post. 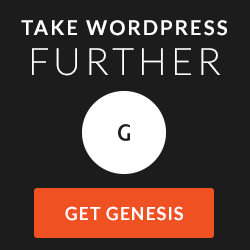 This will assure that WordPress can handle what you are throwing at it. Stay tuned for our next WordPress Guide.